My Plateau Busting protocol is a work in progress, as we discover new information in the literature – we tweak this as needed. By popular demand, I have enclosed the original protocol here so people can refer to it, but please know that this protocol works for many people but I am currently putting the final touches on my weight loss book which will have many more options for people. 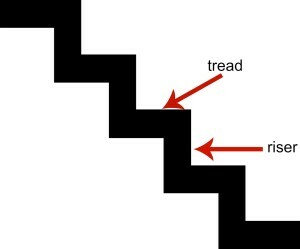 One of my most popular videos on Youtube is “What To Do When Your Hit a Weight Loss Plateau”, and due to it, and the popularity of my Facebook group www.facebook.com/WeightLossResources one of the most common things reported to me is that people are hitting plateaus and are at a loss as how to proceed since they have tried everything but they just can’t seem to break through that scale barrier. So, in my quest to help my team members and friends, I got out my pharmacology texts and my physiology texts and took a long, hard look at things to try to figure out how we could best use certain products to blast through those stubborn weight plateaus and barriers. 2) STEP 2 – Taking 2 capsules of TruFix (from TruVision Health) per day. An optional step is to drink a glass of Tru Heart & Hydration at this time. 5) STEP 5 – Twice daily, or more – drinking a cup+ of tea from the approved list of teas. Other than that, they were to eat regular meals and to be mindful about excessive carbohydrate intake. They were to continue life as usual. They were instructed NOT to start an exercise program if they hadn’t already been doing it.. We tried to minimize the affect ancillary factors would have on the protocol. 2) Only protein for breakfast – eggs, fish, steak, bacon, sausage, left-over meat from the previous night’s dinner. 2-4 oz of protein is fine. The only other acceptable breakfast is the “Death to Diabetes©”1 breakfast – consisting of 3-4 oz of meat or fish along with up to 2 cups of steamed green vegetables dressed with 1 tbsp of olive oil, 2 tbsp of vinegar, and any type of Mrs. Dash™ seasoning. The latter breakfast is better for people who prefer to eat larger meals early in the day. 3) Healthy fats – 1 tbsp of coconut oil, grass-pastured butter, avocado, or raw nuts (raw walnuts, pecans and macadamia nuts are particularly beneficial) may be added to control hunger or cravings. 1) Take 2 capsules of TruFix each morning. Rationale: There are several. First, we want to regulate glucose and insulin spikes. Even as little of five extra pounds of body weight indicates some degree of insulin resistance. One, we are consumingthe TruFix at or near the same time the same time as protein. Protein takes longer to digest than carbohydrates and the stomach retains protein containing meals for longer periods of time before it is sent through to the small intestine. This enhances absorption of the TruFix ingredients. Two, for those doing the optional step of drinking the TruHeart & Hydration drink mix, there is a well established neural-lingual connection between your taste buds and the brain. Primary gustatory fibers synapse centrally in the medulla, so upon consuming sweet substances, the sweet taste receptors in the mouth stimulates the release of dopamine in the brain. We can use this signaling to turn down the body’s desire for carbohydrate-rich or sweet substances; “…sweet taste is modified by circulating hormones. Recently, the effect of leptin on sweet-responding taste cells has generated much interest. Leptin, a protein hormone secreted mainly by adipocytes regulates body mass and suppresses insulin secretion by the activation of ATP-sensitive KCn . Its inhibitory effect on TRCs also involves the activation of a K+ conductance and membrane hyper polarization. Thereby the hormone partially blunts nerve signals indicating sweet taste, which, presumably, makes food less attractive.”6 So, in effect by concentrating the sweetness of Heart & Hydration, and holding it for a slightly prolonged period in the mouth to extend its contact time with taste buds, we are fooling the brain into believing that it has consumed a significant amount of carbohydrates, and it turns down your appetite and cravings for them. The first few days of trying this new method seemed *very sweet* to me, but as I persevered, I noticed a marked reduction in both my appetite and cravings, as did the trial participants. In order for this neural-lingual activation to work you must be tasting the Heart & Hydration. Do not drink it with a straw, do not use ice (which has a numbing effect on the taste buds), do not cut it with cranberry juice, Mio™ Drops, or any other agent that will alter the taste. 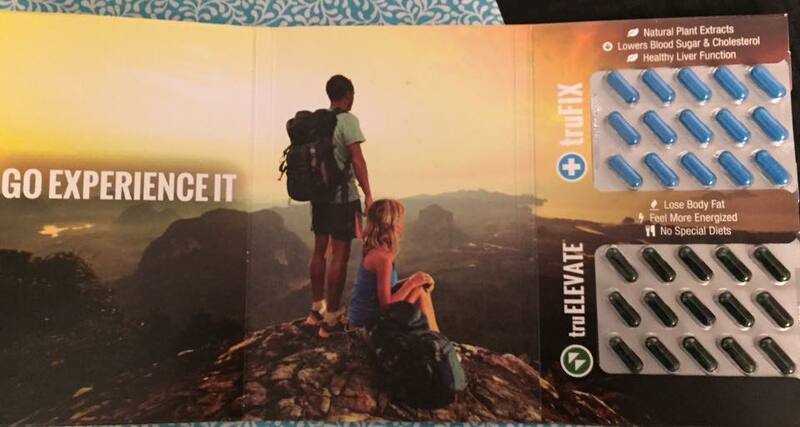 1) Mid-morning and mid-afternoon take Intenzyme Forte™ . The trial was performed using 1 capsule of Intenzyme Forte mid-morning, and 1 capsule mid-afternoon on an empty stomach. Empty stomach usually means 30 minutes+ prior to eating or a minimum of 90 minutes after eating. *This HAS to be taken on an empty stomach or IT WILL NOT WORK! Please note, if you have significant levels of inflammation, you can take 2 capsules twice a day, but for simplicity and to curtail costs, the trial was performed using 1 capsule twice daily. Rationale: Where do we start? There are so many! First, let’s take a look at how inflammation makes you fat : Inflammation begins within the fat cells themselves. Most people think of inflammation and assume that means joint pain, but inflammation is so much more. 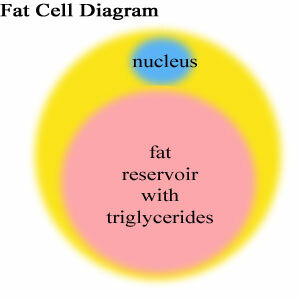 At its very core a fat cell is an inflamed cell. “As glucose is moved into fat cells, they produce an excess of Reactive Oxygen Species (ROS) which in turn initiates an inflammatory cascade within the cell”7. As the percentage of body fat increases, the rate of inflammation increases exponentially. This inflammation causes insulin resistance, and can be noted with C-Reactive Protein testing. The inflammatory cascade eventually makes its way to the brain, specifically the hypothalamus, where it causes leptin resistance.8 Leptin is your ‘hunger’ hormone and is noted for controlling your appetite and regulating your metabolism. The more fat you have the greater potential you have for leptin resistance, which affects your glucose regulation, and slows your metabolism which results in more weight gain and insulin resistance. It is a vicious cycle that keeps getting progressively worse. Inflammation within the gut itself, where 80% of immune function resides, further causes both leptin and insulin resistance. An imbalance in the gram-negative bacteria in the gut has been shown to produce an endotoxin called lipopolysaccharide (LPS) and a cytokine cascade which causes inflammation, insulin resistance, and weight gain.9 But I digress, we will get into how bacteria are related to obesity in the next step. Obesity makes fat cells act like they are infected.10 The stimulation of fat cells by excess calories causes the cells to make Major Histocompatibility Complex II (MHCII), which in turn sends your immune system into over-drive, mimicking autoimmune dysfunction.11 This breakthrough in understanding the fat cell may prove to be crucial future weight loss and aging studies. So I am back to not having to starve to death and the scales are moving in the right directions!!! In just 2 weeks, I have lost 7.5 inches and 5.3 lbs. 1 ) At bed time, take 1-2 capsules of a broad spectrum probiotic. Again you want to take your probiotics on an empty stomach so it gets passed through your stomach acid quickly and so it can colonize in your large intestine while you have your longest period of bowel rest. If you take magnesium, this is an ideal time to take it too. Rationale: An increasing body of evidence suggests that obesity is directly linked to the bacteria in your gut. In fact the bacteria in thin people differs from the bacteria in overweight people. 16 Thin people and overweight people have entirely different strains and ratios of intestinal flora.17 Researchers at Laval University in Canada, found that female test subjects receiving probiotics lost twice as many pounds as those in the placebo group over the course of a twelve week period.18 Furthermore, probiotics may normalize intestinal pH, making it more difficult for candida albicans to thrive, and may crowd out pathogenic bacteria sepcies.19 There are variations of professional opinion on the best way to consume probiotics, but heat and acid are enemies of bacteria, so if you can get the probiotics through the stomach acid as quickly as possible, then you have created optimal conditions for the greatest number of probiotics to survive. Hence the need to take them on an empty stomach. Taking them at night coincides with the greatest period of bowel rest for most individuals, which allows for longer periods of contact between the probiotics and the intestinal mucosa, which may improve the rate of colonization. When you take probiotics with food, they stay in the acidic stomach for much longer, which kills off a greater percentage of the bacteria. 1) At some point throughout the day, please consume 2 cups of tea – either hot or cold (make it yourself, do not use premade or commercial preparations) Green tea, Black tea, Dandelion Tea, Yarrow, Rosehip, Cornsilk tea, Roobios, or Pu-Ehr are all acceptable forms. Warm water with the juice of 1 lemon is acceptable as well. Sweeten with stevia or a small amount of table sugar (so its glucose/fructose ratio is balanced) to taste if needed. Mix up these forms of tea. If you use only one type, your body will accommodate, and we will lose the reason why we are adding this to the program. You don’t have to use all of them, but experiment and try at least 2 or 3. You can drink 2 cups at once or drink 1 cup at two different times. Rationale: All of these teas have a known mild diuretic effect and by keeping them in rotation our body will not accommodate to it- thereby it maintains its effectiveness. Geranax had potent diuretic properties, and this contributed to the immediate weight loss many people experienced when they took it initially. As we already discussed, the body likes to flood inflamed tissues with excess water, so if we drink tea, its mild, natural diuretic properties help us flush those inflammatory by-products from the body, and that will support healthy weight loss. Please note: many of the teas listed, particularly the herbal teas are naturally caffeine-free. Should you choose to use green tea or black tea however, it is the caffeine portion of it which acts like a diuretic, so make sure to purchase regular versions and not decaffeinated ones. If you already exercise, keep continuing what you are doing. Please don’t start a new program at the same time you start a new diet. You want to know what is working and what is not.